A lot of great entrepreneurs had issues with education, among those without college degrees are Apple founder Steve Jobs, retail entrepreneur Philip Green and, of course, Richard Branson. But why is it that? Branson admits that he wasn’t the perfect student himself. “I was no exception, and I have written in previous columns that I was not great at school. I constantly pushed against rules and authority, and I liked to challenge the way that things were “always” done. My curiosity often got me into trouble with teachers. But it was not just my attitude that was different -- I had dyslexia. When I was a young student, this learning disability was poorly researched and was often mistaken for laziness or a poor ability to learn. At school I was thought to be slow, and indeed I struggled to keep up. I initially channelled my youthful energy into sport, then after an injury, I got into early business ventures, which failed to take off. But my learning disability has never been a setback -- it actually gave me a great advantage in business, since I have been able to bring a different perspective to problems and challenges, which often enables me to see solutions more clearly. For example, I have always hated jargon, and I am confused by long and wordy drafts of plans. So in Virgin’s early days, I would ask simple questions that others did not. Over the years, asking the simple questions and striving to answer them have become some of Virgin’s most important characteristics. When I was a young student, my restlessness and curiosity prompted me to set up Student magazine when I was just 15. Running the magazine actually served as an entrepreneurial education - I learned to effectively build a team, sell advertising, create content and market a product. I was my own boss and never needed to ask permission to try new things, and if I got things wrong, I did not have to fear the wrath of a superior. After all, a willingness to try new things and fail is important to becoming an entrepreneur, yet making mistakes flies against the expectations of traditional schooling. So in many ways, my education has been my career. 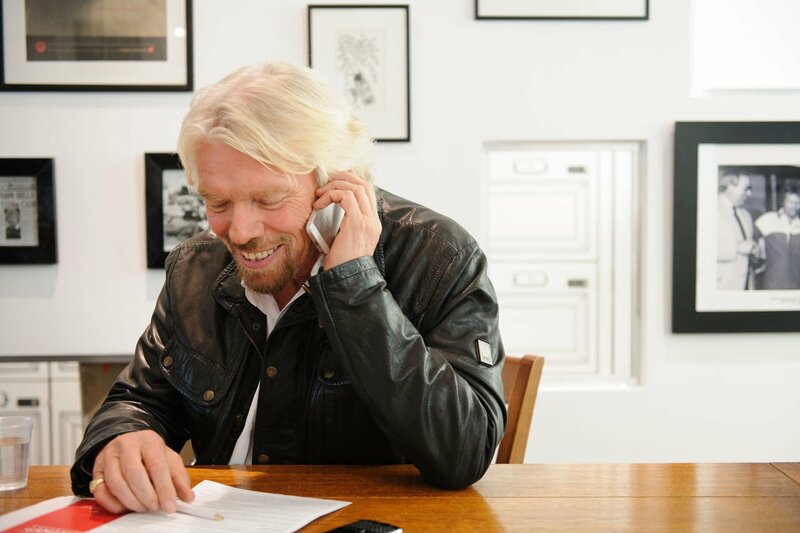 For almost 50 years, Virgin’s varied collection of businesses and non-profits means that I have studied and come to understand many sectors - aviation, banking, media, hospitality and the fitness industry, to name a few. More recently, my career has also given me interesting new perspectives on many significant issues such as climate change, conflict resolution and global health care.